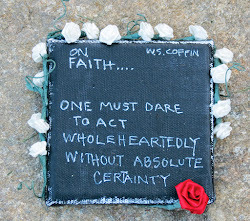 The first few pages stated that a girl named Minette "did not die a natural death nor did Minette die an easy death." And, I was curious to know more. Joyce gives us much needed background on Minette, a Black Girl, and Generva Meade, a White Girl, who were college roommates in a Southern Pennsylvania college in the 70s. We see Minette whose father is a Black minister in DC and her mother appears to be 'the good pastor's wife.' Minette is at this prestigious girl's college on a scholarship. Generva's father is a radical activist lawyer who works with Vietnam protesters, the Black Panthers, and other radical groups. Her mother is portrayed as unsure of herself with emotional issues. Generva is a descendant of Quakers who founded the school where she attended, and of course, she does not have to pay tuition. After Joyce introduces us to the characters, then she shows us that Minette is a very unhappy girl who appears to be doing racial threats to herself in order to isolate herself from the other students. And, Generva has seen quite a bit in her life with her father participating in activism, and it weighs on her. The story builds us up to Minette's death and also unravels Generva's father's past which directly impacts Generva's life. At the end of the book, I felt quite satisfied, but I left wanting to know more about what happened to make Minette so unhappy. Awesome book that I highly recommend!! 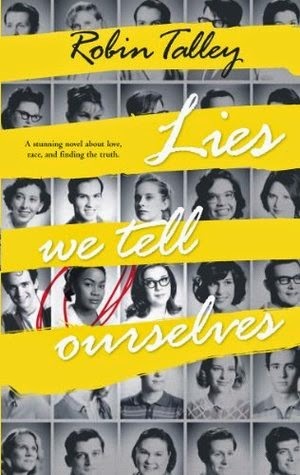 My next read is a student's recommendation: Lies We Tell Ourselves by Robin Talley.